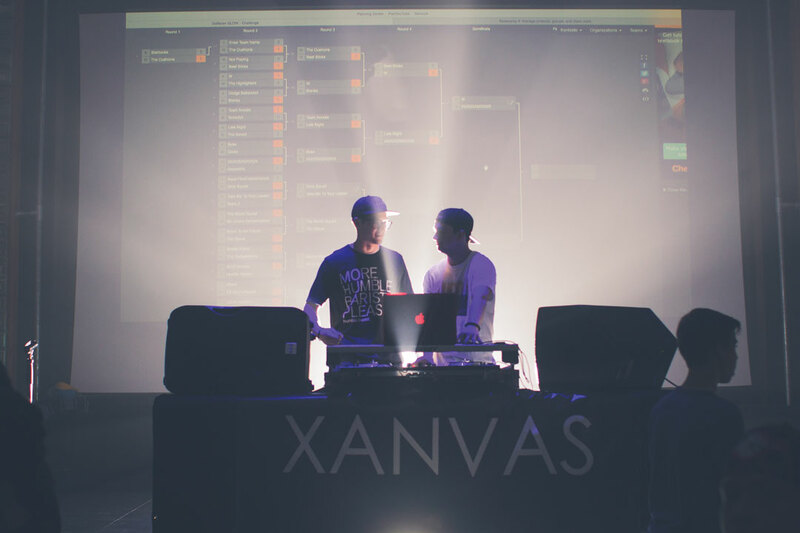 McKay Vandenberg, junior English and journalism & new media double major, and Jake Aldaco, freshman architecture major, have created Xanvas, a disc-jockey duo who focuses not only on mixing some of the most chart-topping songs, but also producing their own tracks. The duo met through a mutual friend while attending an electronic dance music concert and throughout the show had conversations about their future goals with music. Xanvas’ platform for their music production and mixes range from hip-hop and rap to electric, house and trap music. Aldaco said their energy and passion is defined through creating a realm of positivity through their music. Vandenberg said they are a canvas for God, to glorify him through the universal language of music. “We came from different backgrounds, but we both unite when it comes to music,” Vandenberg said. Both Riverside natives, Vandenberg and Aldaco spoke about their individual start of mixing songs. For Vandenberg, he said his interest began in high school during his senior year, as he has always been drawn into the EDM scene. Aldaco said his inspiration came from his father who was a working DJ himself. Both agree that God is the center point when producing and mixing music and just like the turntables, life takes different turns. They said every day and moment within life has a unique song, a certain playlist or soundtrack. Aldaco said there are different sound effects, echoes, and faders that filter through the music when it comes to making original songs and they try adding a catchier and upbeat new feel to an already favorite song. Xanvas’ first mix, rightfully titled “The Beginning,” was posted to their Soundcloud page in the middle of February, finally allowing listeners to have access to full songs. The duo has been posting teasers to their social media pages to help promote upcoming new mixes. Vandenberg said they have had some small events at his home church in Riverside, Sandals, and are continuing to spread the word through social media and by word of mouth. Meeting and collaborating with the right people will come as they search to find support, and as the summer approaches they said they hope to kick off some events locally and wherever the dance floor may be. Xanvas can be found at @xanvas_music on Twitter and Instagram for updates and upcoming shows.